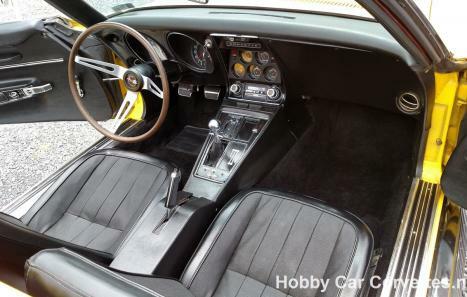 Numbers matching, 36,900 original miles, 327/300Hp motor, 4 speed manual transmission, black interior, rally wheels, power steering, factory side pipes, AM/FM/Cassette, wooden steering wheel, black convertible top, and much more. We changed the oil and filter, rear end grease and additive, and checked and lubed the chassis. We replaced the master cylinder, 4 calipers, 4 brake hoses, 4 sets of brake pads, fuel tank, fuel pump, rebuilt carburetor, spark plugs, cap and rotor, spark plug wires, points and condenser, starter, alternator, sway bar links, and much more. 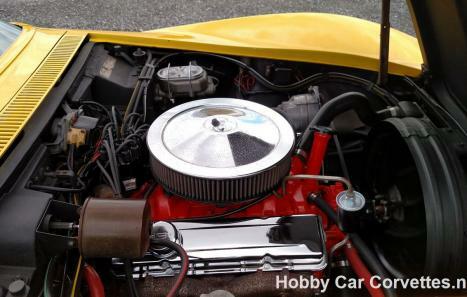 This corvette runs and drives strong with a great sound from the side pipes. This is a real Red-Red Corvette. The previous owners redid it in Pittsburgh Steelers colors years ago. 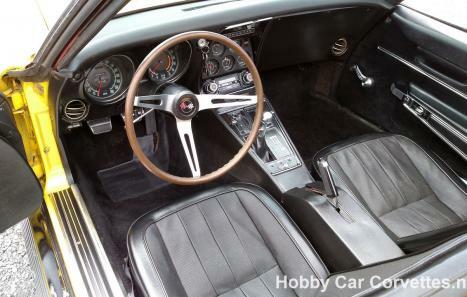 1968 was the first year for the C3 body style, and also brought about a new interior design and removable T-tops. GM also introduced the pop-up headlights and pop-up wiper door in this year. 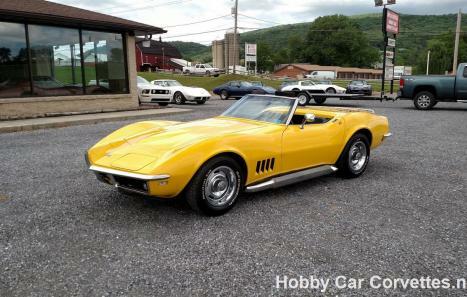 1968 was the highest production year for the Stingray convertible with 18,630 released out of 28,566 total production.